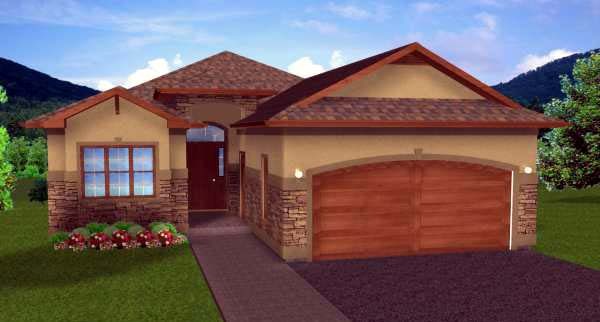 This popular compact house plan features an open living area with vaulted ceilings, a Master Bedroom with en suite and walk-in closet, as well as two more bedrooms and a bathroom all on the main floor. 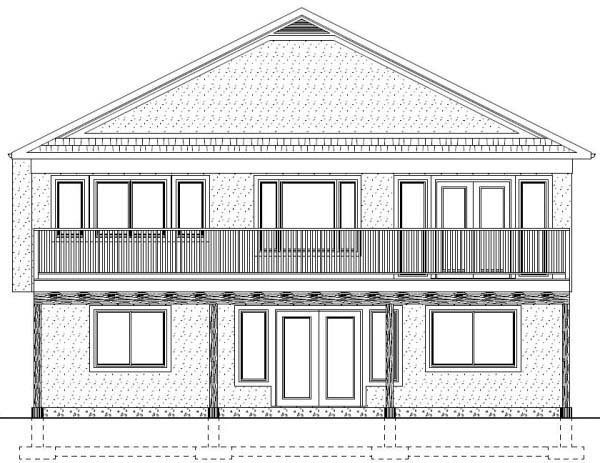 This home plan also features a large sundeck, a full basement, and a two car garage. Question: I am looking at this plan and want to build it in Antigua. I would like the exterior walls to be 8 inch concrete block and the roof material to be of a clay tile. Can these plans be modified with a material list to accommodate these changes? Answer: I was wondering if the customer will be using metal roof trusses, wood roof trusses, or stick framing because of being in the Caribbean? These plans are currently designed with engineered wood roof trusses and an I-joist floor system, if these products are not available in his area we will need to design the plans to work with regular dimensional lumber. Otherwise the changes to 8” block are no problem.